You might have heard of this ” Judge a book by its cover”. Let me illustrate the need for writing this quotation here. Basically, In the universe of startups, the cover is its name. Finding a good name for your startup is really an important task. This is the foremost step for your business. I believe the name is everything. The name depicts the brand, products, services and even personality. More than 50% of the startups changed their name initially due to unavailability of domain names. Getting the name of your choice nowadays is like “Grapes in the hands of langur” Lol. But here, I will provide you with some tips which you can follow to name your startup. Your startup should sound like a global company. This is having a great impact on your future brand. Pete’s Super submarines named after the popular submarine sandwiches at that time exactly look like as local shop or individual company but fortunately changed to “subway”, which is very famous around the world nowadays. If you want to become a brand, then your startup name should be short as much possible. Take an example: Name “Facebook” everyone can understand and write even those who don’t have a vast knowledge of English but “Research In Motion” earlier name of Blackberry can’t be pronounced well and remember by all people around the world. 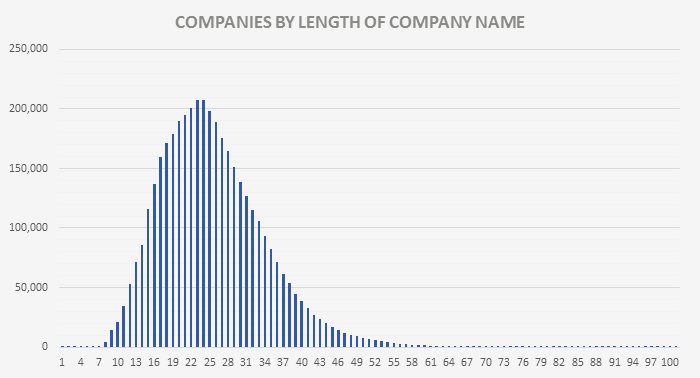 I found the research study by the premierline UK regarding average length of names of the company very interesting. There are two ways for naming your startup, either it can be descriptive means it depicts what you actually do or come up with entirely new. Each one is having benefits. Descriptive names become tricky while doing trade marketing, however, it gives a feeling of what your business does which is quite understandable to peoples. Before naming your startups, just know your audience and put your leg into the shoes of your consumers. Just choose the names which are quite easy to spell. Otherwise, you will gong to face with lost of problems ahead. Suppose your consumers saw your advertisement and your company name is McKinsey & Company. First of all, this name is not easy to read and remember and suppose if somehow someone remembers this name may get confused while searching on google or somewhere else. So just keep it simple and stick with names which are easy to spell. This is the toughest job to perform while naming your startup. 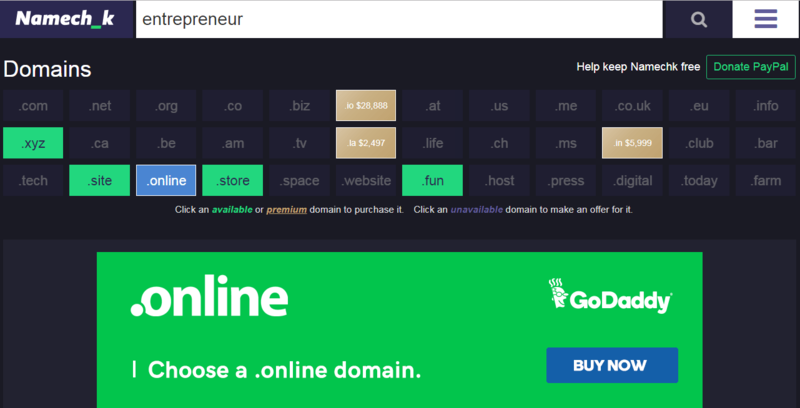 Getting domain exactly to your startup name or what you want is now a dream. Take mine example, I was searching for my startup to buy a domain from Namecheap. I did surfing for 3 hours with lots of modifications. Even after lots of searching, I have to buy the .xyz domain (No alternative left). So here you also may get into dilemma before naming your startup, whether my startup should be trendy or enduring?. Basically, nowadays the number of startups choosing trends has got increased over years. Some are introducing -ly at the end, coming up with animals and plants name and many more. But according to my point of view, it is just like “rat race”. So just think of what people will think about startup a decade or two later. Consider Facebook, it is having an evergreen and enduring name any company have. Above it is also discussed, that your startup name should be of high status. You should focus while naming your startup to be a global brand not a particular name or location type name. Suppose you open a cafe in Chicago, you named your cafe like ” Chicago cafeteria” but if you want to open the chain of the cafe and think of opening at San Diego. what name you will be going to give it? So don’t restrict your expansion. So you have a great idea and came up with a brilliant name. But wait, have you checked that name on famous platforms like facebook, twitter, youtube or at other places? Making your name unique as much possible will help you in future. Your startup name should be memorable and catchy. If you will going to expand your business so, obviously you have to advertise or going to do the campaign. Your startup name may well descriptive, original and looks easy while writing. But make sure that, it can be spoken without staggering. As we discussed above name should be catchy, and easy to spell but apart from it should be easy to pronounce also. As it is your startup, you named it so, obviously you will remember it. But think of your consumers, who will be going to see that on TV, youtube, or listen to it. So the only way to come out of this is to test or take feedback or take others reaction. How do they feel about your startup name? While working on above-mentioned tips, keep in mind that you have to design a logo also for your startup. Because the logo often depicts the name, coincides with your startup motto or slogan And the future identity of your brand. This is similar to domain searching. You have to look at different social media, whether the desired name is available on all platforms or not? Having different social media handle with different names will surely create a lot of confusion among your customers and will be a headache for you too. Various platforms are available, but this website namechk I found useful as it tells us about the availability of a particular startup name on different social media. While naming your startup, I think this one is not the necessary step to follow nor most of the big startups did. 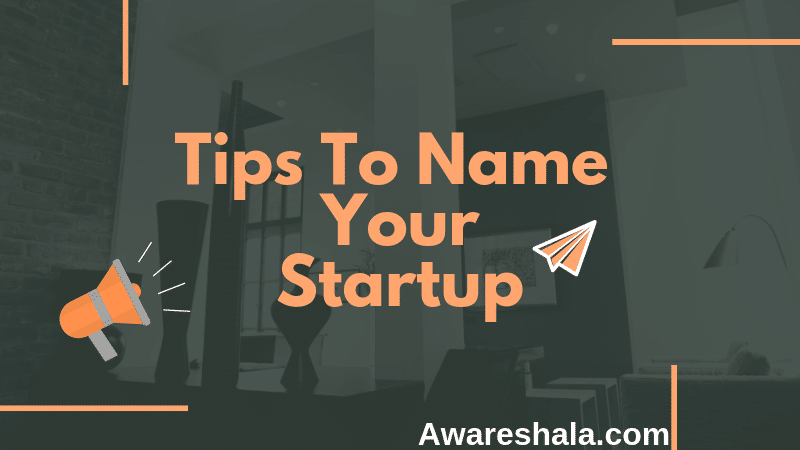 But having a story behind your startup name will make others to relate it and also will be memorable to most of the people. And in some instances, if you will divert from it your story will be going to guide you and show you the mirror of motivation. This is a crucial step before naming your startup. You don’t want someone to take your startup name and in the cost of it may demand you a lot of money. In each country, there is a way or organization which register your trademarks and company. But here I am talking about India, how can you register your startup? So enough tips are provided for naming your startup. The name is your identity. So best wishes from awareshala.com that your identity glitter all around the world and your startup progress by leaps and bounds. Do let us know, what startup name you came up with? Nice article written and it’s quite useful tips you provided which should be kept in mind while naming our start-ups.